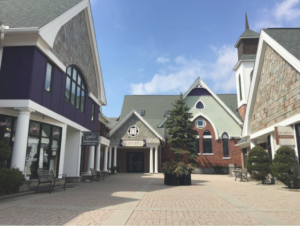 Please join us in welcoming our grief support partner, New Hope Center for Grief Support, to their new office suite in downtown Northville at Old Church Square. This Open House will be on August 24th from 4 to 7 pm – with an official Ribbon Cutting ceremony at 5pm with the Chamber of Commerce. We at PCS-Counseling & PCS-Global will be opening our doors to the community as well during this time – as we are very excited to show-off our new suite of four counseling offices, reception and administrative areas. Our team of 8 professional counselors will be on hand to cheerfully meet and answer personal questions about your mental health topics. New Hope and PCS share a passion and mission: changing conversation in our community surrounding mental health and grief. We believe that if we can come together and share our hearts, we can provide the opportunity for those who are hurting to find comfort, safety, and healing. Join us in celebrating all the lives we have already touched, and learn about opportunities to continue making our community stronger and more connected.